Stuart Sutcliffe was a short-lived member of The Beatles, and a painter who worked in a style related to Abstract Expressionism. He was born in Edinburgh, Scotland. Sutcliffe was never a skilled musician, having joined the group because of his friendship with John Lennon. Lennon convinced him to buy a bass guitar with the money he had made from the sale of one his paintings. He was very uncomfortable on stage and usually played with his back to the audience. He left the Beatles to pursue his career as an artist before they achieved their success, and died not long thereafter from a brain hemorrhage. It has been claimed that this was the result of a beating sustained in Liverpool while still a member of the group, but it is more likely to have been a hereditary condition. Paul McCartney , previously one of three guitar players in the group, replaced Sutcliffe on bass. Sutcliffe's importance to the group came from his artistic rather than musical talent. He was the first to have a 'Beatles' haircut, and his sense of style, helped by his lover Astrid Kirchherr . There is a primitive rehearsal tape from (probably) around 1960 that has been bootlegged, but the recording is so technically lo-fi that it's even difficult to hear a bass, let alone determine the virtuosity of the player; a few songs from that tape were officially issued on the Beatles' Anthology 1. The consensus seems to be that he never became good, or even attained a basic professional standard, on the instrument. He did, though seldom, sing onstage. According to the thorough listing of songs the Beatles performed live in Mark Lewisohn's The Complete Beatles Chronicle, there are just two tunes—the Elvis Presley ballads "Love Me Tender" and "Loving You"—that Sutcliffe is known to have sung lead on. 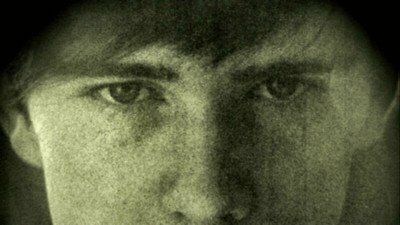 It came to light in the Sutcliffe biography Backbeat: Stuart Sutcliffe: The Lost Beatle that Stuart did actually write some songs, though none seem to have been seriously performed (let alone recorded) by the Beatles. It has sometimes been written that Sutcliffe and Paul McCartney did not get along, perhaps partially due to McCartney's frustrations with Sutcliffe's musical limitations. They did have a fight onstage once (though this apparently didn't have anything to do with music). Astrid Kirchherr is a photographer and artist. She invented The Beatles haircut during their early time in Hamburg: she met them at a club when she was dating Klaus Voormann (who later designed the cover to The Beatles' Revolver album), left him for Stuart Sutcliffe (at the time a member of the Beatles), and cut his hair in the familiar mop-top, which John Lennon thought was laughable, but later all (except Pete Best) adopted as the early Beatles look. As an artist Sutcliffe displayed considerable talent from an early age. His few surviving works show the influence of the British and European abstract artists contemporary with the Abstract Expressionist movement in the United States. His more figurative work is reminiscent of the kitchen sink school, particularly John Bratby. His later gestural abstractions bear comparison with John Hoyland and Nicholas de Stael, though they are more lyrical. (He did not play on their recording sessions as Tony Sheridan's backup unit in June 1961, although he attended as an observer). 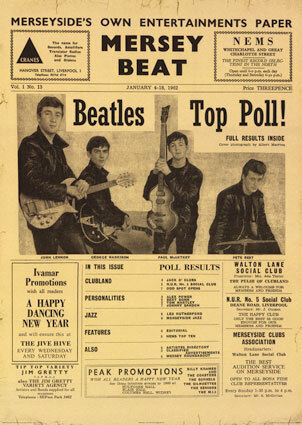 Sutcliffe's story and decision to leave the group is told in the movie Backbeat. Although he was only a Beatle for a short time his influence on their future success has largely gone unrecognised. It is claimed that it was Stuart who came up with the Beatles name and that John would not play in the band without him. 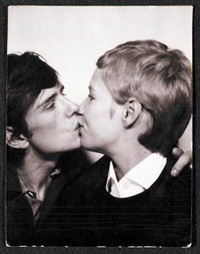 His relationship with Astrid also influenced the bands look. Bill Harry wrote me after reading this page and sugggested some of the above are myths started by the Beatles first manager Allan Williams. He says the photo floating around in which his back is turned to the audience was taken during a tune up session. It's pointed out that none of the Beatles were accomplished musicians at that time, that George Harrison wrote Stu after he left asking him to 'please come back', and that Stu even played bass for a German band called The Bats 2 weeks before his death. It is suggested that he actually was a good bass player, certainly not bad, and his reason for leaving the band was something other than his musical abilities. You can read more about Bill's version (after all, he was there at the time) of Stu at his website, in the article THE TRADUCING OF STUART SUTCLIFFE. Peter Randolph Best (born November 24, 1941) was an early drummer for The Beatles from Madras, India. The son of the owner of Liverpool's Casbah Club where the Beatles played occasionally, Best was first invited to join the band in 1959, later rejoining for their 1960-1961 residency in Hamburg. He stayed until shortly after their first audition for EMI in 1962, being fired on August 16 that year to be replaced, for musical reasons, by Ringo Starr, then of Rory Storm and the Hurricanes. This led to a falling out with both John Lennon and with Paul McCartney. Drummer of Liverpool's Black Jacks and son of Mona Best, owner of the Casbah Club, Best often sat in with the Quarry Men when they played the Casbah. On the eve of their first trip to Hamburg in August 1960, John, Paul and George asked Best to come along. He jumped at the opportunity. Thus, Best became the Beatles' first official drummer. From the start, it was clear that he didn't quite fit in. Shy and with little to say, he would often sit quietly at a bar or stay at home while the other three engaged in wild exploits through the Reeperbahn, Hamburg's red light district. Certainly, he was the most popular with Liverpool's female population. Some people even say that was why he was dismissed from the Beatles so abruptly. Both anecdotal and recorded evidence, however, suggests that his musical talents were not up to par with either the other Beatles or his replacement, Ringo Starr. He did record with the group in Hamburg (for sessions on which they mostly functioned as a backup band for Tony Sheridan), as well as their 1962 Decca audition, a couple of early 1962 BBC sessions, and their June 1962 EMI audition. Some of these tracks are officially available on the Beatles' Anthology 1; many others are included on bootlegs. The scant body of work from this period suggests that Best was no more than a mediocre drummer. Although the full story remains unclear, shortly after their visit to EMI's Abbey Road studio in June 1962 (during which George Martin had suggested that the band would need to hire a studio drummer for recording sessions), Brian Epstein called Best into his office and told him that the others wanted him out of the group. Best was crushed and fans in Liverpool were shocked and angry. Most fans don't know that Best did continue to perform and record for a few years, usually as the leader of his own group, and usually for cheapo companies eager to exploit his notoriety as an ex-Beatle. Certainly these discs are of little interest to anyone besides Beatle/British Invasion obsessives. But if you're on that path already, you might find them — and indeed the whole Pete Best solo chapter — more interesting than you would expect. Copyright Bill Harry. Printed with permission. Peter Randolph Best was born in Madras, India on November 24, 1941. His parents were Mona, who was a red-cross nurse, and John Best, an army physical training instructor. His brother, Rory, was born in 1944 and the following year the family sailed to England and settled in Liverpool. He passed the 11-Plus examination at Blackmoor Park primary school in West Derby and moved into the Collegiate Grammar School. Mona Best converted their large house into a club called "The Casbah" where in August 1959 and group called "The Quarry Men" became the resident band there. Several weeks later, John, Paul, and George were arguing about whether or not guitarist Ken Brown should be paid for a gig he did not perform in due to an illness. As a result, Ken left the group and talked Pete into forming a group with him called "The Blackjacks" a name originally thought up by John. Mona bought Pete a drum kit from the music department at Blackler's store and the band began to build up a loyal following with a rock 'n' roll repertoire of numbers by Chuck Berry, Little Richard, Jerry Lee Lewis and Carl Perkins. In the meantime, The Quarry Men had changed their name to "The Beatles" and the band had just lost it's drummer Tommy Moore. The band was to go to Hamburg in a matter of days and they needed a new drummer. Pete got a phone call from Paul McCartney asking him, "How'd you like to come to Hamburg with The Beatles?" Pete was only too pleased to accept and successfully auditioned for the group at Allan William's club. In Hamburg The Beatles were subjected to long hours each night on stage and were told to "make a show" for the paying customers. The Beatles played at a small club called the Indra, then moved to the Kaiserkeller where they were second on the bill to Rory Storm & the Hurricanes. During this time, Pete had become firmly established as a member of the group, not only on stage, but joining the other in drinking bouts and in picking up girls. Pete seemed to be particularly popular with the girls who attended Kaiserkeller. The group was about to continue their Hamburg season by appearing at a rival club to the Kaiserkeller, The Top Ten, when Pete and Paul were accused of trying to set fire to the Bambi Kino by the Kaiswerkeller owner, and both were deported. Peter Eckhorn, who ran The Top Ten Club, was able to send Pete's kit back to Liverpool in a crate. 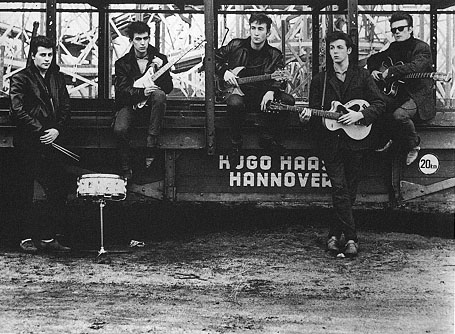 Stuart Sutcliffe had remained in Hamburg for a time, so Pete had to fill in as a temporary bass guitarist for their four gigs in Liverpool in December. When they performed in Liverpool, both audiences and fellow musicians were able to see the difference Hamburg had caused. They all had improved beyond recognition. Pete was to say, "When we came back from Germany I was playing using my bass drum very loud and laying down a very solid beat. This was unheard of at the time in Liverpool as all the groups were playing the Shadows' style. Even Ringo in Rory Storm's group copied our beat and it wasn't long before most drummers in Liverpool were playing the same style. This way of drumming had a great deal to do with the big sound we were producing." This beat was referred to as "The Atom Beat". For the next year, Pete and his mother Mona were acting mangers of the group. Pete was encouraged to be included in a singing spot in the act. "Peppermint Twist" was decided upon as the song for Pete and his popularity grew. Enough so that Pete was placed in front of the other three at a St. Valentine's Dance on February 14, 1961. Pete was mobbed by girls and was almost pulled off the stage into the audience. It was Mona Best who originally made the first approach to The Cavern Club on behalf of The Beatles. She contacted Ray McFall and discussed the group with him. He said he'd think about it. It was Pete who then called Peter Eckhorn and fixed them up with their Top Ten, Hamburg session in April 1961. Also during that year, Mona contacted Granada Television in an attempt to secure them a spot on the program "People And Places". Soon Brian Epstein would become The Beatles manager and he discussed many gigs and fees with Pete and the relationship between them seemed to be quite an amicable one. When the group auditioned for Decca they were turned down and there was no comment of any sort regarding Pete's ability as a drummer. Pete learned about the Decca rejection weeks after the others knew, "I was hurt because I was the last to about it" said Pete. This was the one of the earliest warning signs about Pete becoming replaced. Another was one day while Pete and Paul were having lunch Pete mentioned that he wanted to buy a Ford Capri. Paul told him, "If you take my advice you won't buy it, that's all. You'd better be saving your money." On August 16, 1962, Pete was called to Brian Epstein's to have a meeting. Pete presumed it would be the usual discussion about the forthcoming gigs. He was completely taken off guard when Brian told him, "The boys want you out of the group. They don't think you're a good enough drummer." While he was in the office the phone rang-it was Paul, asking if Pete had been given the news. Brian had told Pete that he'd been replaced by Ringo but asked if he could perform at the next gig at Chester prior to Ringo taking his place. When Pete's mother learned of the news, she immediately tried to contact Epstein by phone, without success. Pete would later go on to a solo career with his new band Pete Best All Stars. The band went to Decca Records, the same company that rejected The Beatles, and signed Pete and his band. Their debut single "I'm Gonna Knock On Your Door", issued in June 1964, wasn't a success and Decca dropped the group. When you think of the Beatles, four names come to mind: John, Paul, George and Ringo. And why not? They were the "Fab Four" who made music history and changed the world from 1964 until 1970. But there were two other members of the Beatles in their early incarnation, one named Stu Sutcliffe, the other Pete Best. Stu left the band to go to art school and drummer Pete Best was kicked out in 1962 and replaced by Ringo Starr. Not long after that, the Beatles exploded onto the international music scene with a force and cultural influence rivaled only by Elvis Presley. All Pete Best could do was watch the parade pass him by. Fast forward to 2005 to an intimate club called Jammin' Java in Vienna, Va. on a hot August night. Pete Best himself is playing before a sold-out crowd, fronting a rowdy English-pub style band behind a banner that says "Best of the Beatles." It's a cocky gesture, but a fitting and well received one. "Good for you, Pete" was the goodwill sentiment permeating the crowd. The band ripped through a number of standards such as "What I Say," "Sweet Georgia Brown," "Roll over Beethoven" and "Mr. Postman." Mixed in were Beatles originals "The one after 9:09," "P.S. I love you" and "I saw her standing there." The two-set show ended with a rousing, crowd participation version of "Twist and shout." It was a satisfying finale, but the singer didn't have the God-given talent John Lennon had to bring that song to the frenzied heights that had girls in the '60s fainting and crying uncontrollably. But it was a valiant and solid way to close out the reprise of the British invasion and the mostly middle-aged crowd went home smiling. They had seen and heard a Beatle up close. I asked Pete Best the most obvious and awkward question first: "Why were you kicked out of the band?" Pete lowered his head and said "Oh, I don't really know to this day. I was told they wanted a better drummer, I was anti-social, they didn't like my hair, but it is still very much a gray area and the reasons don't hold water." I also wondered if Pete had called George Harrison before he died. "No," Pete answered curtly. In fact, Pete has never spoken to any of the Beatles since he was let go, adding neither he nor Paul nor Ringo have ever tried to make contact. Surprisingly Pete isn't bitter and is now receiving royalties for the first time. The Beatles "Anthology" CD has put a nice chunk of money in his pocket, but he doesn't say how much. What is refreshing to hear is this 62-year-old man talk about how lucky he was and is. "You know, Brian Epstein, Stu, John and George are all gone. I am still in love with the woman I married 42 years ago. I have two beautiful daughters and four wonderful grandkids and a band I love making music with. As long as I have my health, I'm just going to keep on going." And with that, Pete Best, ex-Beatle, headed out the back door of the club. There was a long drive ahead, a plane to catch and more gigs to play. Pretty much just like it was 45 years ago in Liverpool and Hamburg.